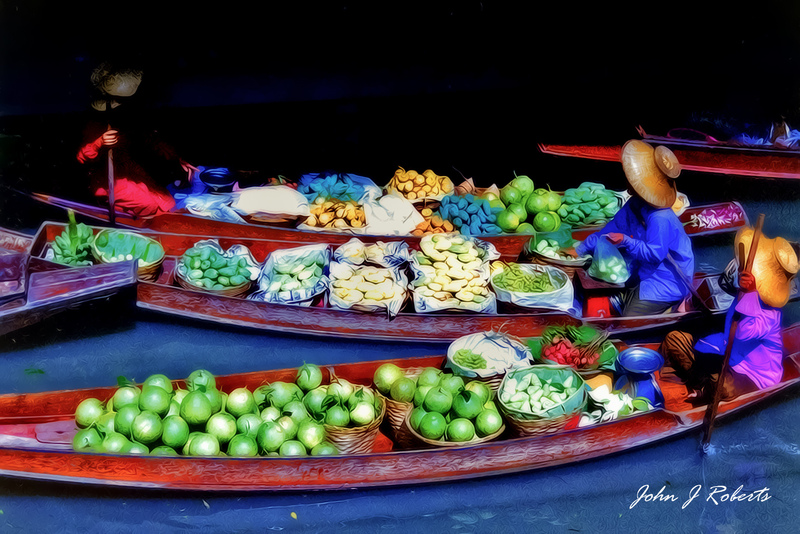 These ladies were taking a break in the shadow of a bridge at the Damnoen Saduak Floating Market in Bangkok, Thailand. At the time I was living in Hong Kong but also had an office in Bangkok. I was there on business most times but occasionally got in a little golf and some sightseeing. 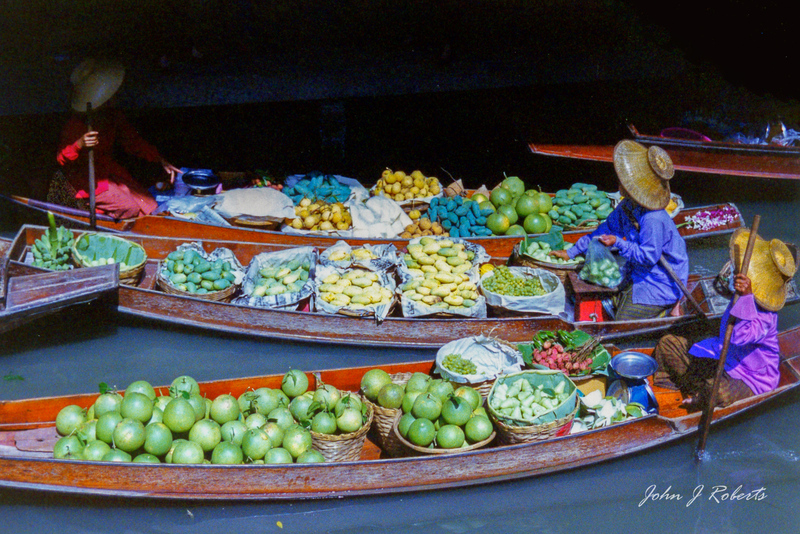 This market was greatly over commercialized even then (1997). But it was worth at least one visit through the insane traffic and crowds. All the sad news about Kodak made me remember this photo as it was one of the last that I shot on Kodak Portra (or any other film). I always liked this composition although the exposure was all wrong. The photo has been lying in the closet for 14 years and wasn’t very sound any longer. But I scanned it anyway and managed to cobble this image out of it.